bride.ca | To Cover or not to Cover? 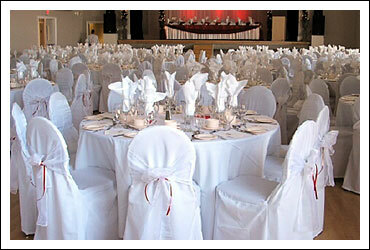 Have you been to many weddings where the couple has opted out of using table linens? Probably not. You would walk into the room and instantly notice something was missing; the room would look less finished, less polished. Well, these days, the same goes for chair covers! After having gone through all the trouble of finding the right flowers in the right arrangements with the proper lighting and décor, why would you leave the chairs looking drab? There are many ways to spruce up the chairs without breaking your budget. There are do-it-yourself options and covers made of low maintenance fabrics which are less expensive than the fancier ones. Perhaps, you may decide to limit other décor expenses to add covers. Do your research. 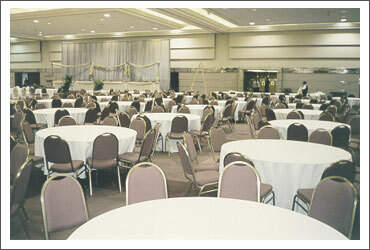 Look at before and after pictures to see what an impact chair covers really make. In the long run, you'll be happy you did!